Less than 1″: The wall can recover on its own, Do preventative maintenance like dirt, gutter drains, and concrete leveling. More than 1″: The wall will no longer recover on its own, brace the wall and re bond all wall cracks. 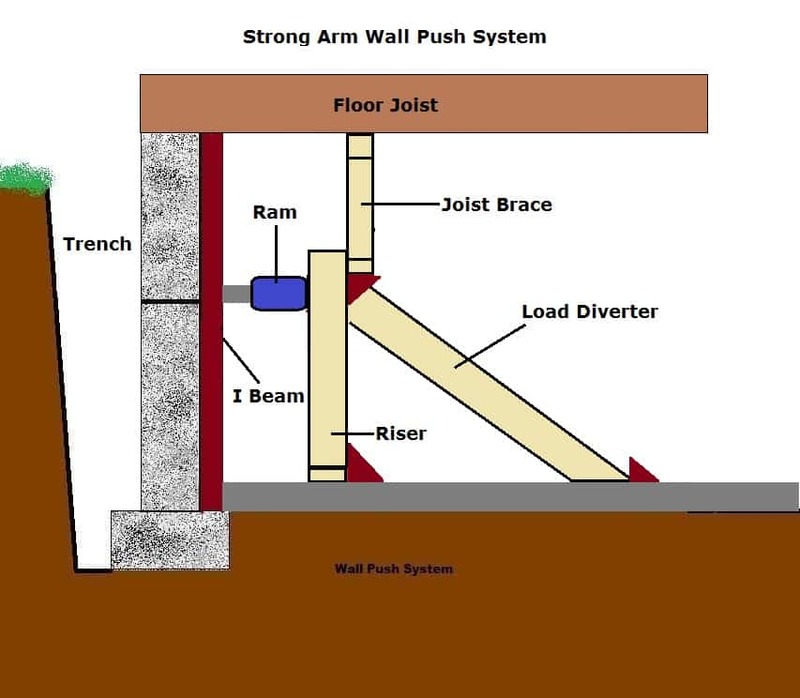 More than 3″: Catastrophic failure of wall, excavate wall and straighten back to plumb or within the 1″ tolerance. 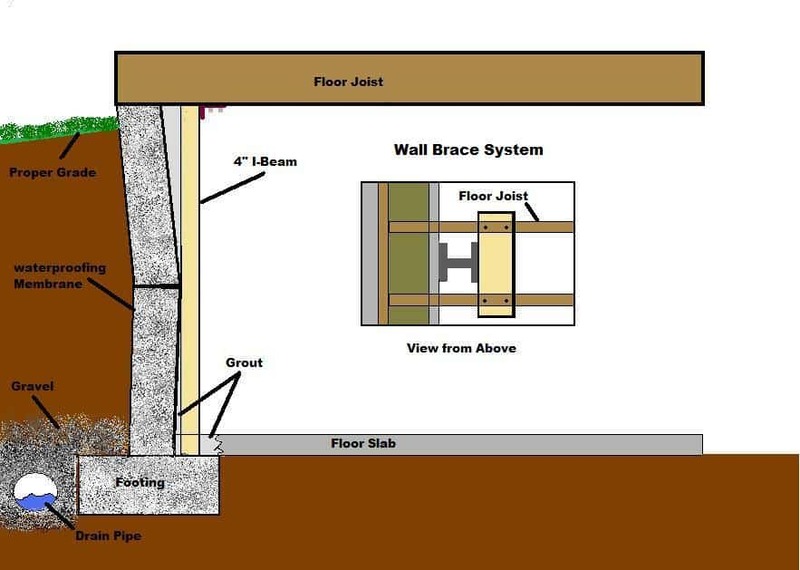 Foundation 1 has established itself as one of the top wall straightening companies in the Midwest. 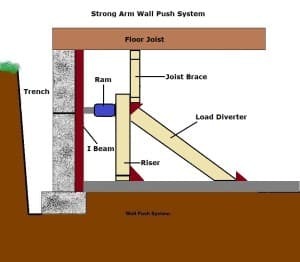 Whether your wall is bowing, leaning, or displaced, we can bring any wall back to plumb. Call today or fill out the form on this page to get you free consultation. "The crew leader every day explained what they would be doing. They left that part of the basement cleaner than when they first started." "Cannot recommend Foundation 1 enough. 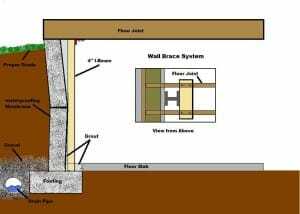 After years of stress, moving walls, cracking drywall, sinking footings, and water in the basement, Foundation 1 gave me my house back, relieved the stress." "I would recommend Foundation1 without reservation. A Five-Star Company, Plus!"